What is now known today as the Mandarin Oriental hotel brand began with a hotel called The Mandarin. Since 50 years ago in 1963, The Mandarin was a well known hotel in Hong Kong. The name Mandarin Oriental is a combination of names from two iconic hotels when the company acquired The Oriental in Bangkok. 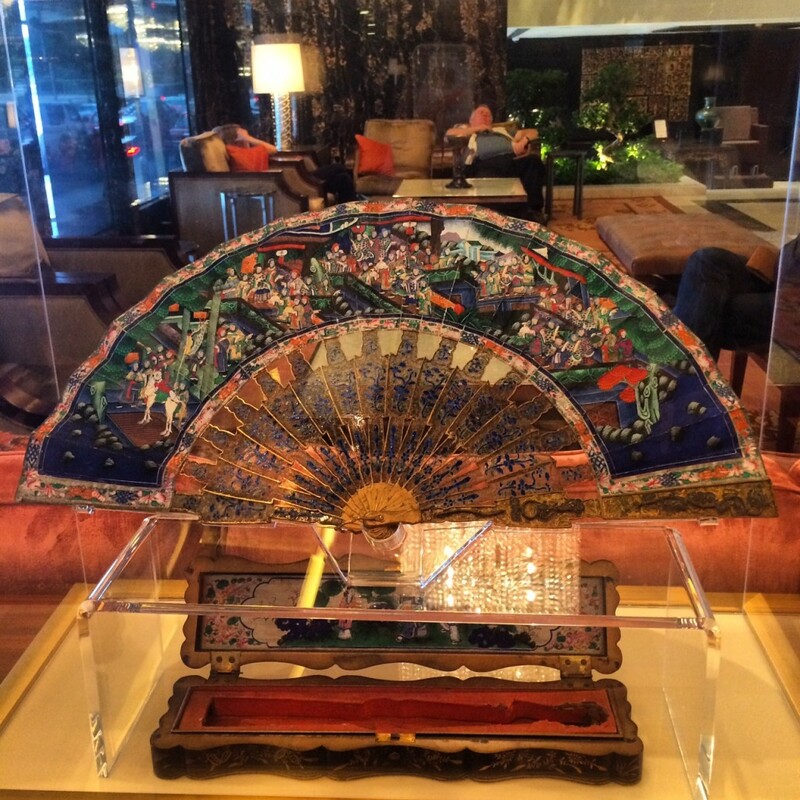 With both names, Mandarin and Oriental combined, it became what is known today as the Mandarin Oriental Hotel Group. 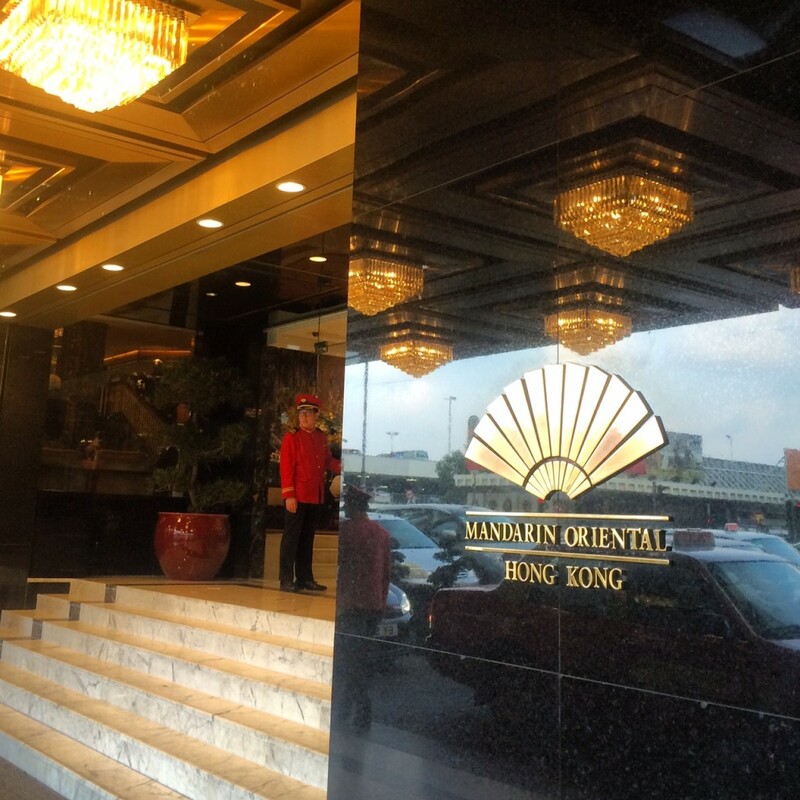 And now with properties all over the world, The Mandarin is still operating as Mandarin Oriental Hong Kong. Mandarin Oriental Hong Kong is located in southern Hong Kong on Hong Kong Island and right in the heart of Central. Its in a prime location as it overlooks Victoria Harbor and is also walking distance to many of Hong Kong’s main attractions including The Landmark shopping center where another Mandarin Oriental property is located called The Landmark Mandarin Oriental. On the second floor overlooking the lobby is Clipper Lounge, where afternoon tea at Mandarin Oriental Hong Kong is served. Tables are available by the balcony where you can see large chandeliers and afternoon activity in the lobby. Or for some tables by the windows, get a view of the iconic Ferris wheel by Victoria Harbor. There is no live music in the lounge during tea time though many business meetings in session, families and leisure travelers relaxing and dining at the lounge made it lively with a traditional and elegant feel. Floral teas, green teas, herbal, oolong, black… there’s a huge variety of teas for afternoon tea at Mandarin Oriental Hong Kong. But among all these on the tea section of the menu, there’s one that stands out before the rest, on the top of the tea list. It’s one blended just for the hotel called Taste of the Legend. And it really is legendary. 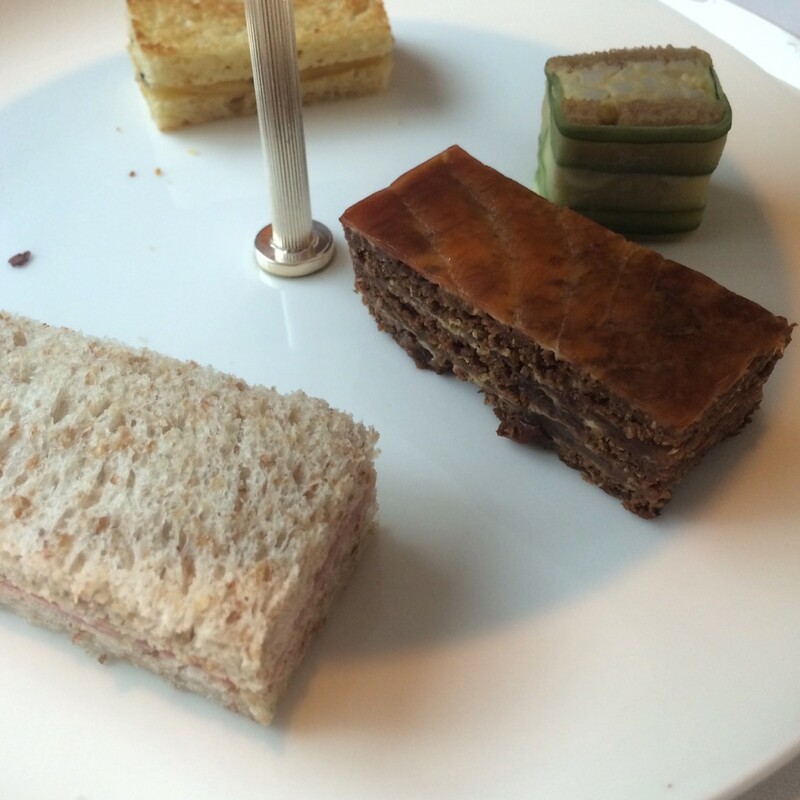 One afternoon tea package is offered at Mandarin Oriental Hong Kong. Highlights include the traditional savory salmon sandwiches but with pumpernickel bread, the classic scone with rose petal jam and the mini cheese cake! 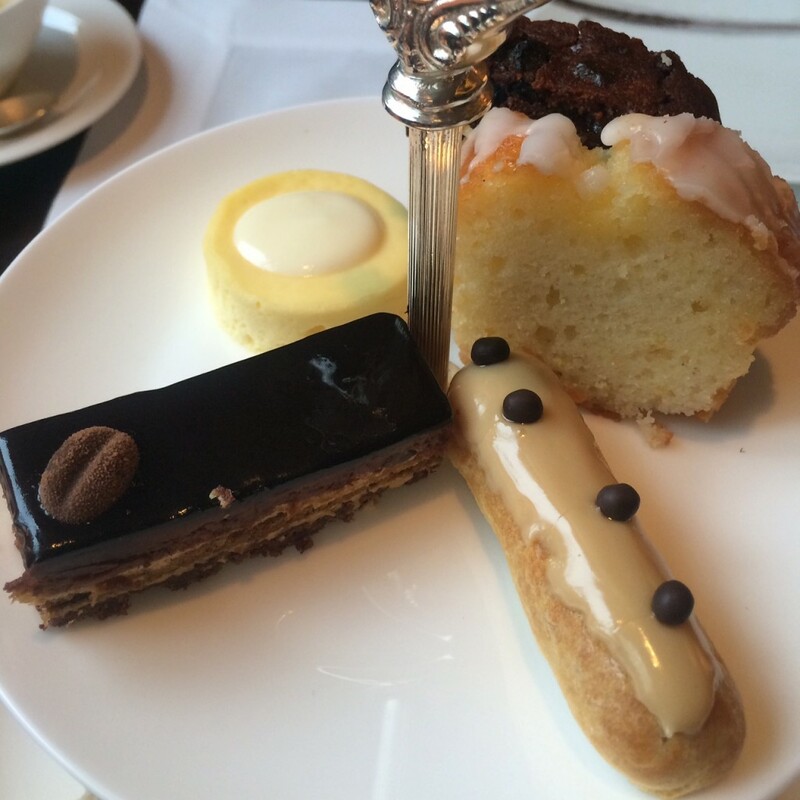 Though the ambience is very traditional, you won’t find a three tiered afternoon tea tray at Mandarin Oriental Hong Kong. Instead, there’s a two tiered tray, one plate for sweets and the other for savories. Scones are served in a wide sort of tin can along with a jam/cream tray which holds an ample amount of the Rose Petal jam and clotted cream! 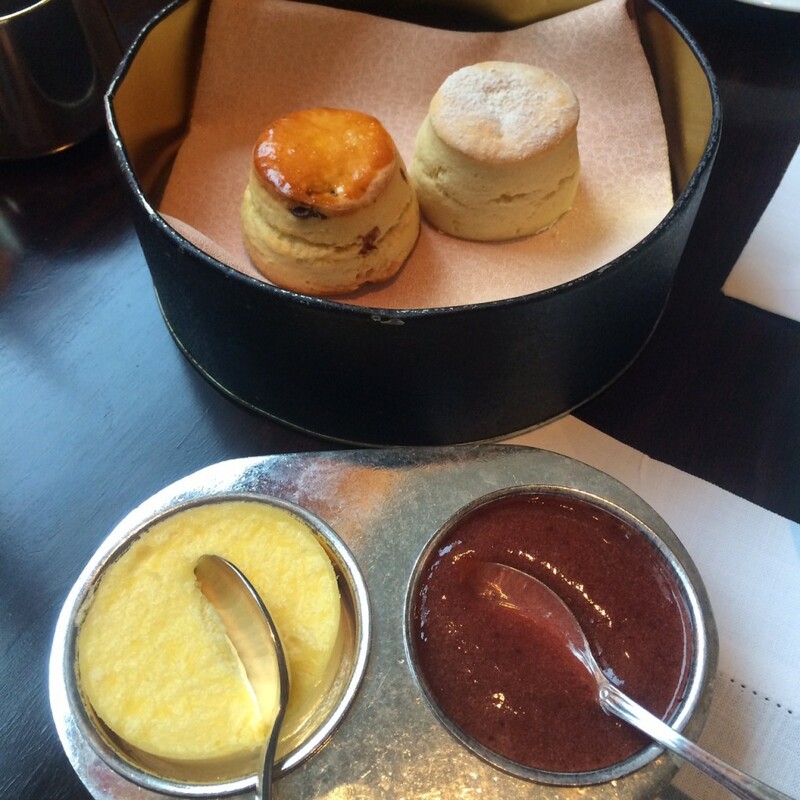 Due to the popularity of afternoon tea at Mandarin Oriental Hong Kong, most tables were occupied. Despite this, service is done with efficiency and you won’t have to wait too long for whatever you request. 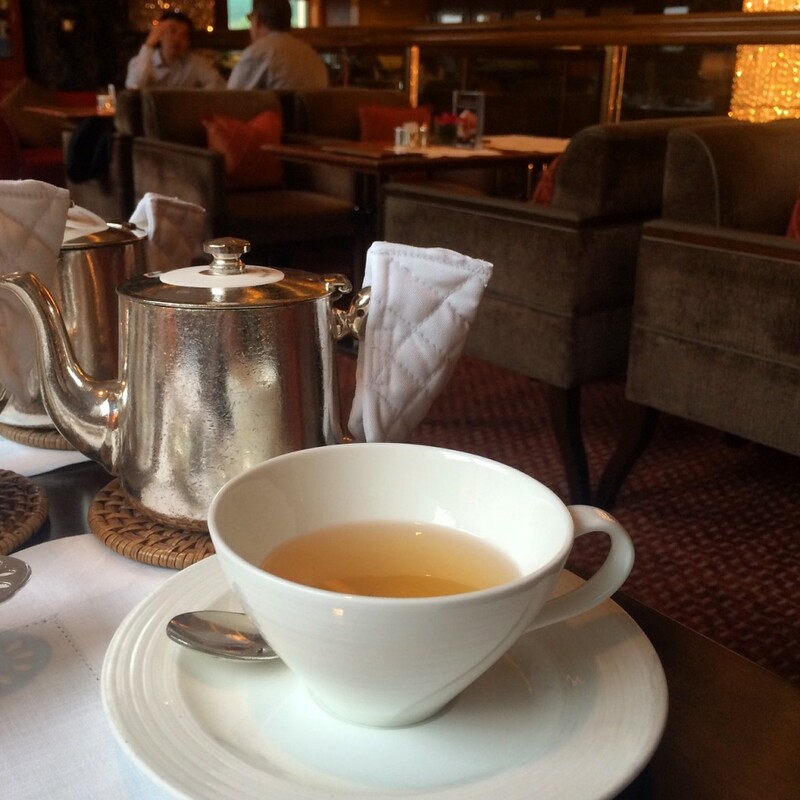 And even with so many people in the lounge, hot water was always provided in my tea pot and was even asked if everything was all right. A simple question usually makes a huge difference. WiFi is offered with a fee. Connect with Mandarin Oriental Hong Kong on Instagram, Twitter and Facebook for up to date information about hotel happenings, offers and great photos. 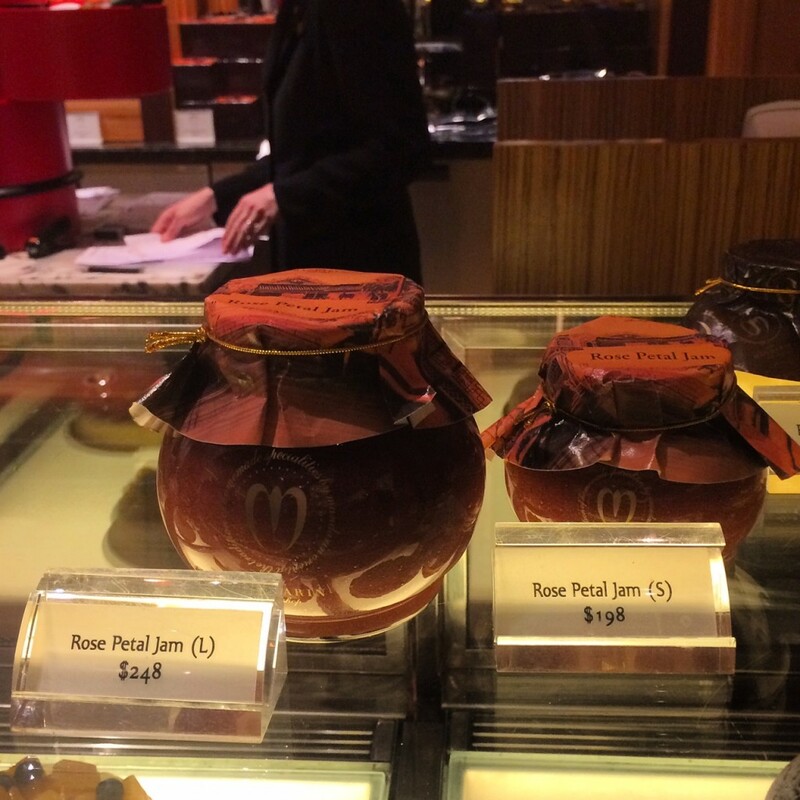 With so many options for afternoon tea in Hong Kong, pick Mandarin Oriental Hong Kong if you favor trying unique items specifically for hotels (Rose Petal jam, Taste of the Legend tea) and want to visit the flagship of Mandarin Orientals. P.S. 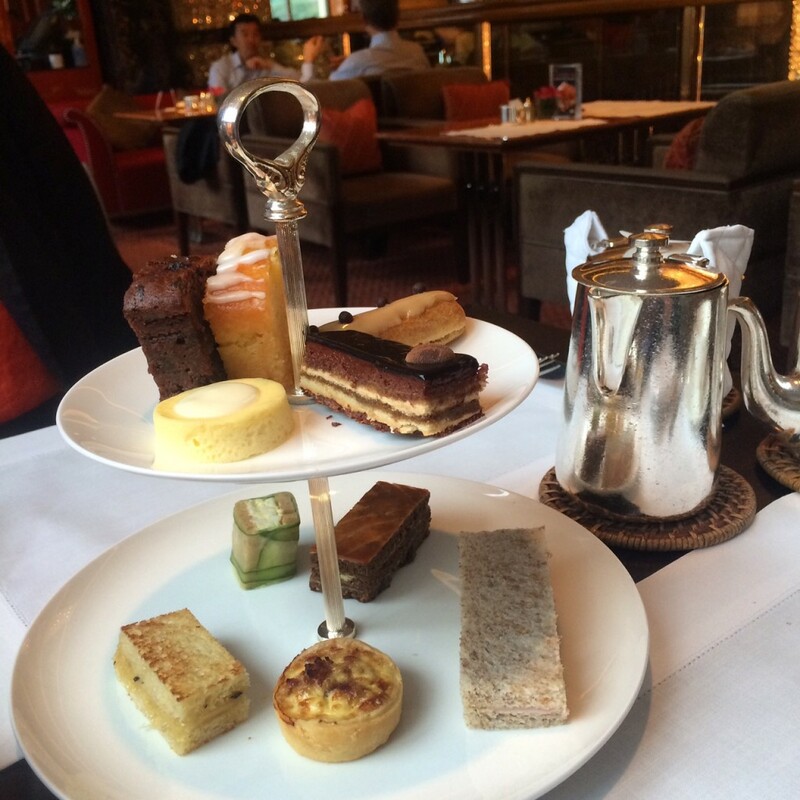 For a less traditional, more hip feel to afternoon tea, check out The Landmark Mandarin Oriental, also in Hong Kong. 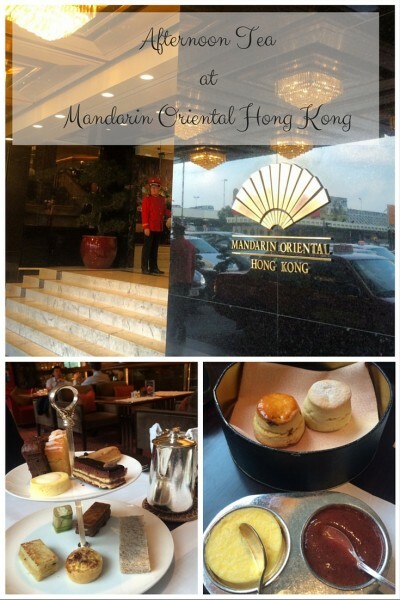 Note: I was a guest of Mandarin Oriental Hong Kong for afternoon tea. All views are my own.